Residential Care caters for a variety of differing needs. It may be that people require help with aspects of daily living, such as bathing, dressing and taking medication. Perhaps they are finding it difficult to live in their own home through reasons of reduced mobility or illness. Maybe they no longer want to live alone . Perhaps shouldering the responsibility of maintaining their own home has become too much. One of the main benefits of living at Little Brook House is that residential care helps reduce these pressures. Often simply alleviating these problems enables residents to flourish – making new friends and exploring new interests. Whatever the reason may be, you can be assured of a warm welcome at Little Brook House. Residential Care provides for accommodation, meals, laundry, day-to-day care and basic medical care as the foundation of the service. We provide nutritionally balanced meals, housekeeping and a variety of daily activities for residents to participate in. Our trained carers deliver round the clock care and all of our staff have structured training plans that ensure we are constantly evolving our standards of care . 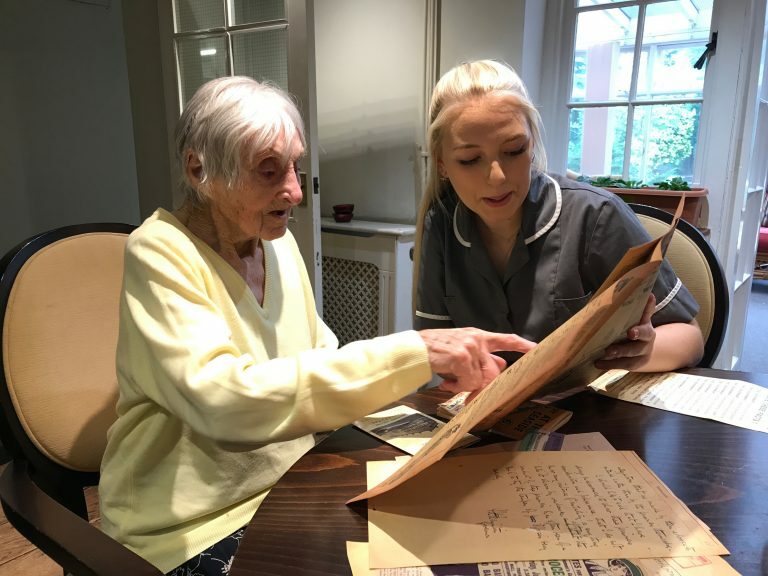 We operate a system of Champions within the home that are responsible for ensuring that we adhere to the highest standards in key aspects of care – for example, care of those living with dementia, moving and handling of residents that may have mobility problems and so forth. All residents are taken through our assessment and care planning process to create a Care Plan. This is tailored to their specific needs, preferences, interests and abilities. It is constantly monitored and updated so that as care needs evolve residents and their families can be sure they are receiving the most appropriate care. We believe that through preserving our residents’ dignity, respecting their independence and promoting their interests we help to create a real sense of home from home.